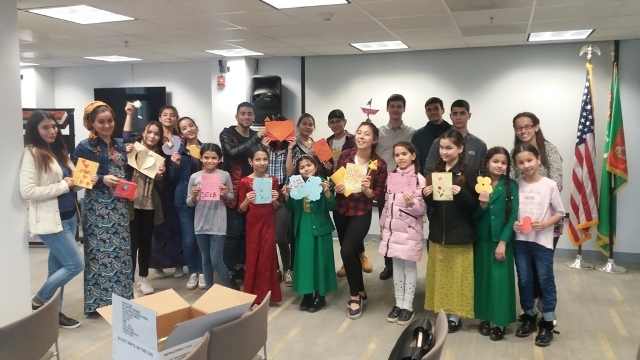 On March 5 and 12, FLEX alumna Aylar Mammetmyradova ’12 (Ashgabat, Turkmenistan/ Tijeras, NM) hosted a Women’s History Month Workshop for 41 visitors of the American Center, including high school and university students and adults. During the workshop, participants learned about important dates and figures of the women’s rights movement throughout the world, discussed women’s suffrage, and were familiarized with inspirational stories of women leaders in different fields such as Amelia Earhart, Maria Curie, Benazir Bhutto, Coco Chanel, Emmeline Pankhurst, Elizabeth Blackwell, and many more. The workshop was followed by a poster competition, word puzzles, quizzes, and educational videos such as the TED-Ed video by Courtney Stephens “The contributions of female explorers”. In the end, Aylar initiated a discussion which allowed participants to share their impressions of the workshop and talk about important women in their lives. 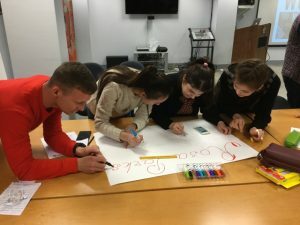 Other activities implemented in Turkmenistan in honor of Women’s History Month included an arts and crafts workshop led by FLEX Alumna Selbi Ilmuradova ‘17 (Turkmenabat, Turkmenistan/ Eastvale, CA) in which participants created appreciation cards for important women in their lives. Nikita Starov ’17 (Ashgabat, Turkmenistan/ Albion, PA) and Kervenmurad Muradov ‘17 (Ashgabat, Turkmenistan/ Stamford, NE) organized a presentation on the History of International Women’s Day to familiarize participants with important historical events that occurred during the fight for gender equality. 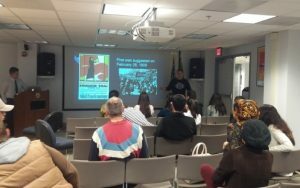 Similarly, Jennet Gurdova ’17 (Balkanabat, Turkmenistan/ Burleson, TX) conducted a presentation about Rosa Parks and her influence on the Civil Rights Movement in the U.S. Lastly, Nargilya Gasanova ’08 (Ashgabat, Turkmenistan/ Frankfort, MI) gave a presentation on Women in the Nursing Profession in which she shared interested facts about nursing and her own experience as a nurse. Attendees of these presentations learned more about women’s history, were introduced to women who changed the world, and were motivated to appreciate women more in their daily lives. 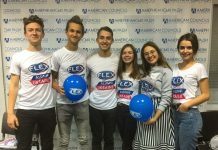 Above all, participants improved their command of the English language and strengthened their communication, team-working, and problem-solving skills.